Everyone loves Jersey Fresh strawberries, especially when found at local farmers markets across the state, but many people don’t realize that strawberries love us back. There are so many reasons to love local strawberries, but here are six to get the conversation started. Low In Calories. A cup of Jersey Fresh Strawberries, what could be called a very generous handful, is just 54 calories. What other sweet treat measures up (or down) like that with only 7 grams of sugar! Heart Health. Potassium and fiber in strawberries promote heart health. Great Source of Folate. Inadequate amounts of folate can contribute to atherosclerosis, vascular disease and even a decline in cognitive function. Vitamin C. That tasty cup of strawberries contains the daily recommended allowance of Vitamin C.
Antioxidants. Strawberries contain antioxidants that protect us from the damaging effects of our environment. Anti-inflammatory. Flavonoids in strawberries reduce inflammation which is not only great news related to heart health and keeping blood pressure in check, but may help with joint pain. 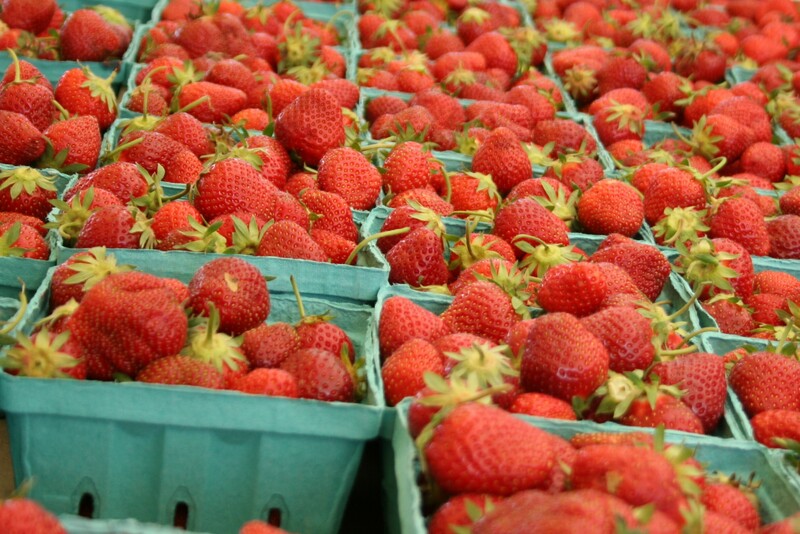 Strawberries are a late Spring/early Summer fruit so get to your Jersey Fresh Farmers’ Market right away to get some. Pick up some extra to freeze, remove the green top, wash, and either freeze whole or sliced. Frozen strawberries are the perfect addition to late summer sangria!